Funeral Services honoring Jose’s life will be held on Monday, March 25, 2019 at 10:00 a.m. at the Piasecki-Althaus Funeral Home, 3720 39th Avenue. Interment will follow in St. George Cemetery. 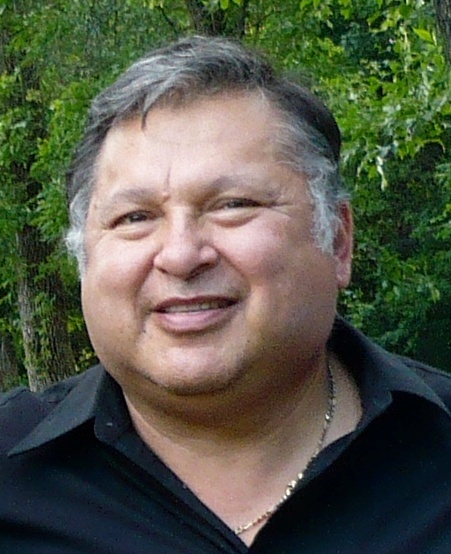 A visitation for Jose will be held at the funeral home, 3720 39th Avenue on Sunday, March 24th from 1:00 p.m. until 3:00 p.m.
Jose L. Gomez, age 68 of Kenosha, passed away unexpectedly on Monday, March 18, 2019, at his residence. Born in Eagle Pass, TX on December 13, 1950, he was the son of the late Jesus and Francisca (Benavides) Gomez. Jose was raised in Pierdas Negras and Monclova, Coahuila, Mexico. Jose relocated to the Midwest in the 1970’s and raised his family in Kenosha. For many years, Jose dedicated himself as a forklift driver with AMC/Chrysler Corporation. He was a member of the U.A.W. Local #72-Retirees. Jose was a very strong willed, generous and spiritual man. He enjoyed camping, fishing and missionary work. Jose loved being with his family and absolutely adored his loving grandchildren. Jose is survived by his five children, Jose (Ariana) Gomez, Jr., Lemuel Gomez, Angie Gomez, Juan (Amanda) Gomez and Jesus (Amy) Gomez; ten grandchildren, Jose, III, Ivan, Isabella and Camilla Gomez, Madison Gomez, Sampson and Maribel Gomez, Elijah, Ava and Ethan Gomez; two sisters, Zumela (Isidrio) Patino and Yolanda Trevino; and his former wife, Alma Urrutia Gomez. In addition to his parents, he was preceded in death by a sister, Socorro Rosales.